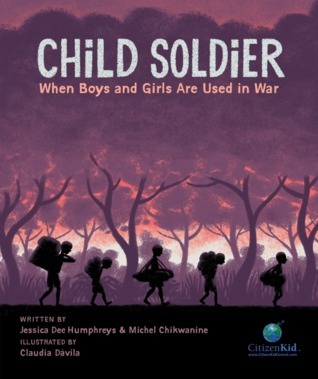 When Michel Chikwanine was only five years old he was kidnapped from his school by rebel soldiers. The reason? They were recruiting child soldiers. Because he was feisty and tough acting to the soldiers, they decided to keep him alive. Michel made a promise to his father, who was an activist to stop the terrible things the rebels and government were doing against their own people. He ingrained these thoughts into his son. This book is a direct result of those teachings. Michel wanted to make sure he kept his promise to his father and spreads the word about child soldiers to help prevent and stop this horrific act against humanity. This is a book that should be read in every history class.